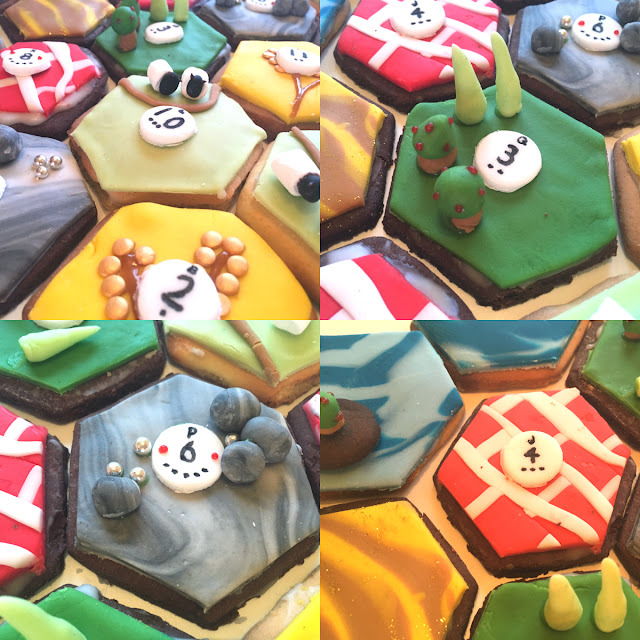 It's been an age since I last shared a baking post on here, so I wanted to share my absolute favourite thing that I baked last year... an entirely edible (and playable) Settlers of Catan cookie board. Cookies of Catan! If you've never heard of Settlers of Catan, where have you been? It's a seriously-addictive German strategy board game. You play as a settler on the island of Catan, building houses and roads while trading and getting resources from the land you've built. It's really competitive, and you have to try and outwit your pals, whilst also keeping them on your side so you can trade with them. Does that sound mega complicated? 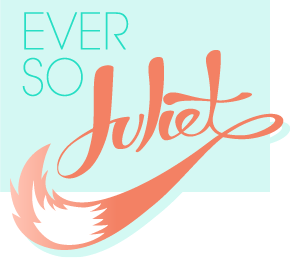 I promise it's really fun! I used a simple sugar cookie recipe to make the biscuits, as we needed something that would keep its shape pretty well, and would be sturdy enough to hold all the decorations. We actually made half the batch using a chocolate sugar cookie recipe (this one, I believe), but Nigella's was far better - if you're going to do this, I'd keep it simple! 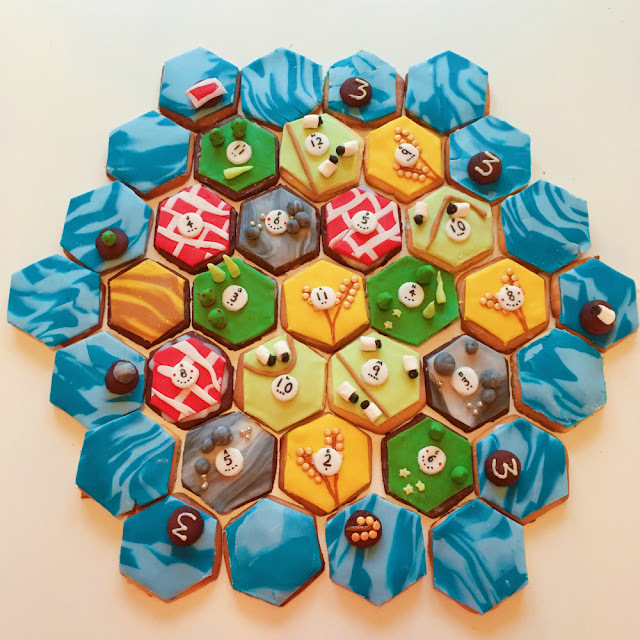 The Catan board is made up of hexagonal tiles. I used a 3D printed cookie cutter (the benefits of being pals with Edinburgh International Science Festival! ), but you can buy hexagon cutters online easily enough. We cut the dough into hexagons and went over each cookie with the cutter again, once it was out the oven and had cooled slightly, just to make sure the lines were sharp and the cookies were the same size - the board had to slot together, so it was important to try and be as precise as possible! The board is made up of six different types of tile: wheat, sheep, wood, red brick, stone ore and the sea (with one extra desert tile where the robber lives). 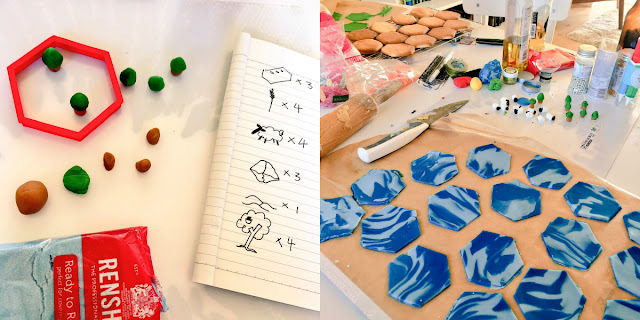 For each type of tile we made a fondant base: light green for the sheep, dark green for the forest, yellow for the wheat, a red brick pattern for the brick, and swirly grey for the stone ore and swirly blue for the sea. This obviously took AGES, but was well worth it, and much better than just using icing - I think it's so much cleaner looking and it's obvious what each tile is meant to be! The fun bit was making decorations for each tile. We made tiny sheep out of marshmallows with fondant heads, tiny fondant trees (with little red icing dots for apples), and little fondant stones with silver decorative balls. Each tile had to have a number - these match the dice you roll during the game, so these were made out of fondant using an edible ink pen. It took an entire day to bake and assemble, but it was so much fun, and it totally worked as a playable board (it's a little rough around the edges, but shhh, it doesn't matter). Definitely worth trying if you also happen to share a love of intense board games, biscuits, and fiddly decorating!